Hey, friends! Happy first day of November! I want to say thank you for taking this journey through the Bible with me. God has been so faithful to speak to me through His Word and I know He will do the same for you as you spend time daily in His Word. Courtney Joseph and the rest of the Good Morning Girls Leadership Team have prayerfully decided that starting this month there will be no weekend readings. Here is the link to Courtney's blog post at Women Living Well that explains the reason behind the new 5-day reading plan and our break during Christmas. We will break for Christmas on December 19 and start our reading again January 5, 2015. 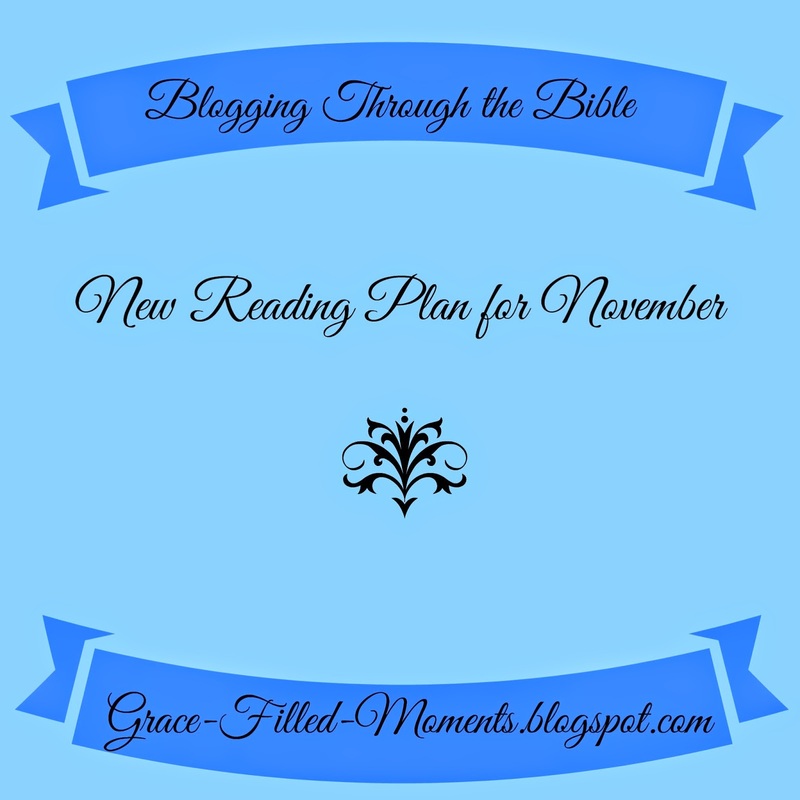 Since we have this new 5-day reading plan, I am tweeking my Blogging Through the Bible posting days to Monday, Wednesday, and Friday (instead of Sunday, Wednesday, and Friday). **How are you doing? It's been quite in the comments section lately. I'd love to know that you're still with me, so I hope you'll take a moment to say a quick "hello! ".